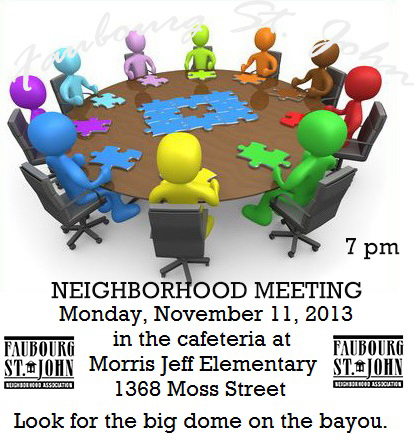 Meeting at 1368 Moss Street at 7 pm on Monday, Nov 11, 2013. 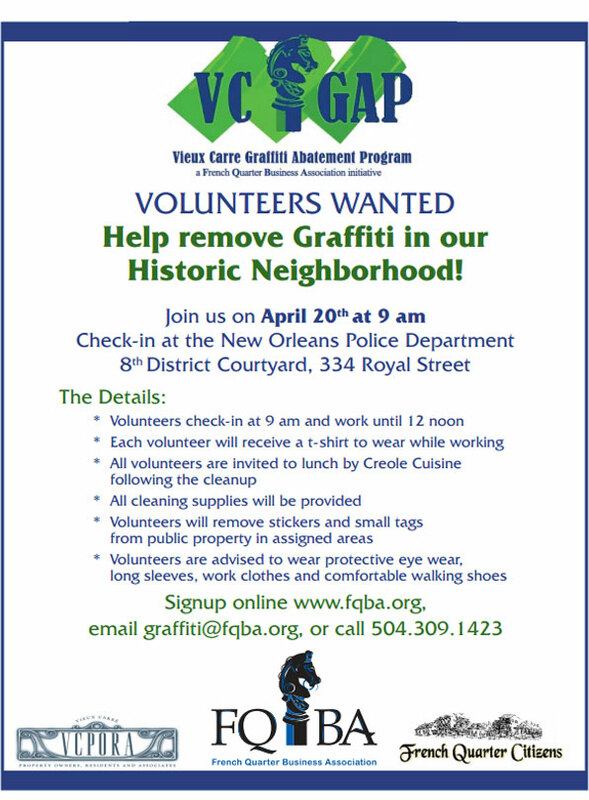 GRAFFITI PROGRAM – Our InitiativeKnowing that graffiti adversely affects public perception, architectural significance and the general quality of life in the French Quarter, the FQBA has stepped up to initiate a community, business and citizen-based action plan to eradicate graffiti from the Vieux Carre. Partners in this initiative are resident groups French Quarter Citizens and Vieux Carre Property Owners, Residents & Associates, Inc. “World’s Best Graffiti Removal System” has proven effective and is accepted by the Vieux Carre Commission (VCC). First, try using soap and water and a soft brush. If this does not work, use a VCC approved removal product that is appropriate for the surface. The “World’s best graffiti removal system” has been tested and determined safe on historical buildings, a permit is not required for small jobs. In many instances, you can use a graffiti removal product rather than paint. Graffiti is writing, drawings or symbols applied to any surface without the permission of the owner. To create graffiti, vandals use a variety of materials such as automotive car paint, spray paint, crayons and permanent ink. Vandals also etch surfaces as another way to destroy property. The difference between art and graffiti is that art is done on property with permission of the property owner. Art is a creative and productive form of expression, whereas graffiti is a crime. Graffiti is an act of vandalism. Not only is it unattractive, but it also lowers property values and encourages other types of crime in neighborhoods. By promptly removing graffiti, property owners can send a message to the people responsible for graffiti. 1. Maintain upkeep. An exterior appearance that suggests apathy and neglect attracts vandals. 2. Remove quickly. Studies show that removal within 24 to 48 hours results in a nearly zero rate of reoccurrence. •Add or improve outside lighting to promote natural surveillance. •Limit access to roofs by moving dumpsters away from walls and covering drain pipes. •Incorporate shrubs, thorny plants, and vines to restrict vandal access. •Employ graffiti resistant materials or coatings on a chronically hit wall. •Do not allow a “legal wall,” or an area that permits graffiti, at your business; they are largely ineffective and may draw more graffiti vandals to the area. •Organize a “Business Watch” with nearby merchants to keep tabs on a business area. •Install some type of security camera. •Employ security personnel to monitor property. 5. Work with the community. •Inform VC-GAP and the city when graffiti appears on your property. •Refrain from using graffiti images in ads or promoting graffiti in any way. If you see a graffiti crime in progress, please contact the New Orleans Police Department immediately at 504-822-1111. Please provide a complete description of the perpetrators and/or vehicles involved, including license plate numbers. Photograph the graffiti using a color camera (digital). NEVER APPROACH OR CONFRONT THE VANDALS YOURSELF. Graffiti vandalism is a crime. Report graffiti to New Orleans Crime Stoppers at crimestoppersgno.org or call the non-emergency number at 504-822-1111. Upload a photo of the tagging. Please keep copies of each photograph for your personal records. These photographs help the police identify local graffiti hot spots. Property and business owners understand that promptly removing graffiti reduces the chances of recurrence. Also, the sooner you remove graffiti, the easier it is to clean the damaged surface. 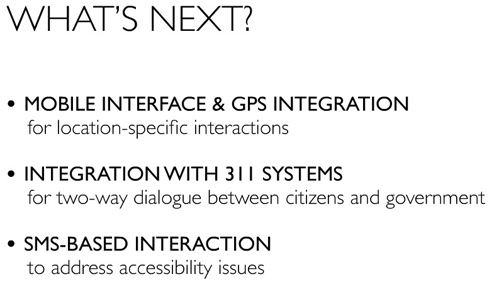 Click here to view the City’s presentation at today’s BlightStat meeting. 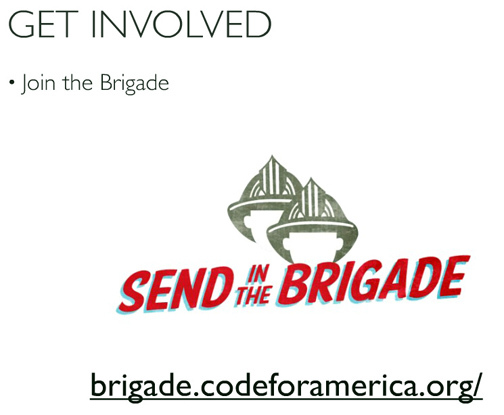 If you are having trouble viewing this message, read this in your browser. 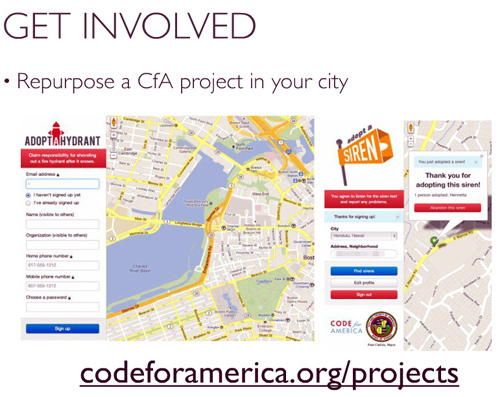 NEW ORLEANS, LA—October 11, 2012 | Today, Mayor Mitch Landrieu and Code for America (CFA) will announce the launch of BlightStatus, a new interactive tool for residents to track the progress of blighted properties within the code Enforcement system in New Orleans. Nearly two years ago, Mayor Landrieu announced a new, aggressive blight strategy aimed at reducing the blight count in New Orleans by 10,000 properties by 2014. 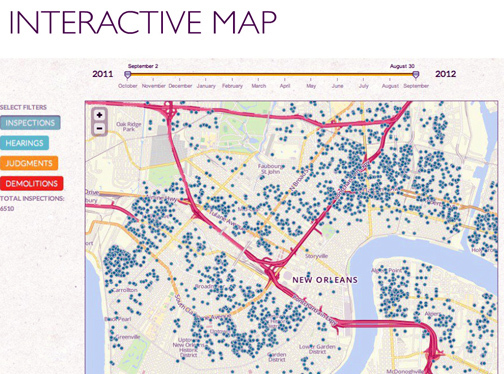 A recent study released by The Greater New Orleans Community Data Center showed that blighted properties have been reduced by approximately 8,000 addresses since 2010. 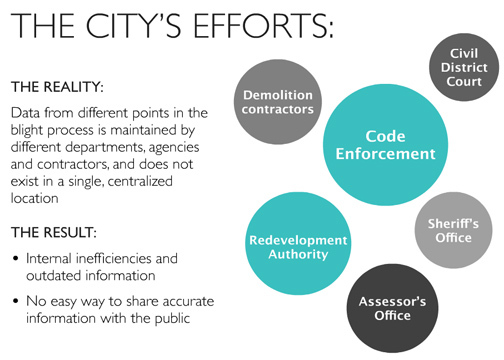 The study attributed the reduction in part to the focused efforts of City agencies to bring properties into compliance. Neighborhood groups and engaged citizens have always been a crucial partner in the city’s fight against blight, and now, with the launch of BlightStatus, they will have access to previously inaccessible City data about the status of blighted properties. 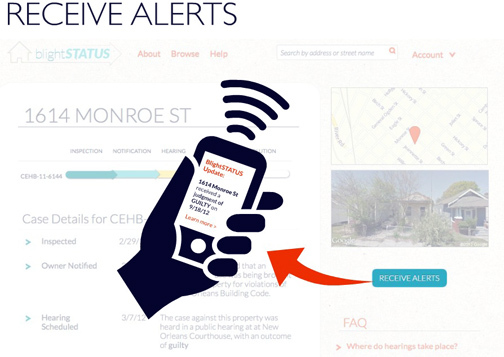 Easy access to this information will reduce barriers to participation in public blight hearings, and improve the quality of the interactions between the City and the community in the common goal of blight eradication. 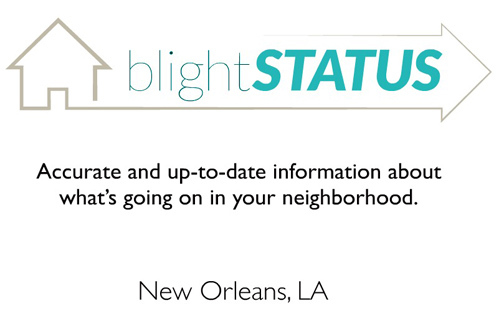 WHERE: 1708 St. Roch Ave.
BlightSTATUS makes it simple for residents to find out what’s going on with blighted properties in their community – no long waits on the telephone or visits to City Hall required. 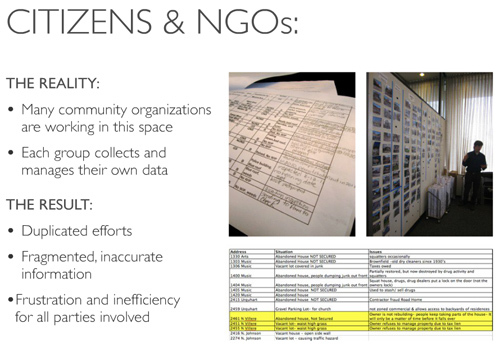 A great example of government transparency at work, BlightSTATUS pulls up-to-date property information directly from the City’s official records, providing a single, comprehensive and authoritiative view to the public for the very first time. 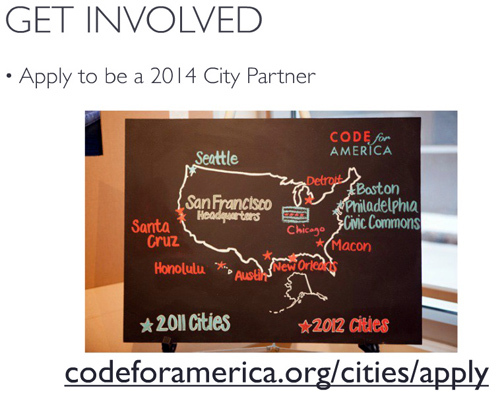 Write to neworleans@codeforamerica.org for more information. 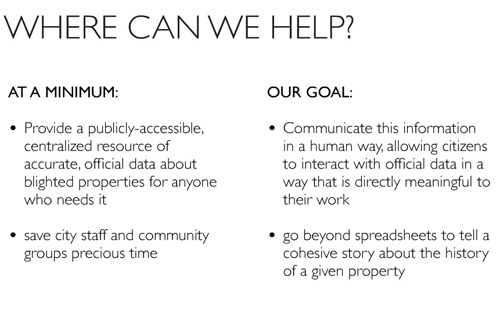 For decades residents have asked for easy access to information on the status of blighted buildings, and now we’re delivering. 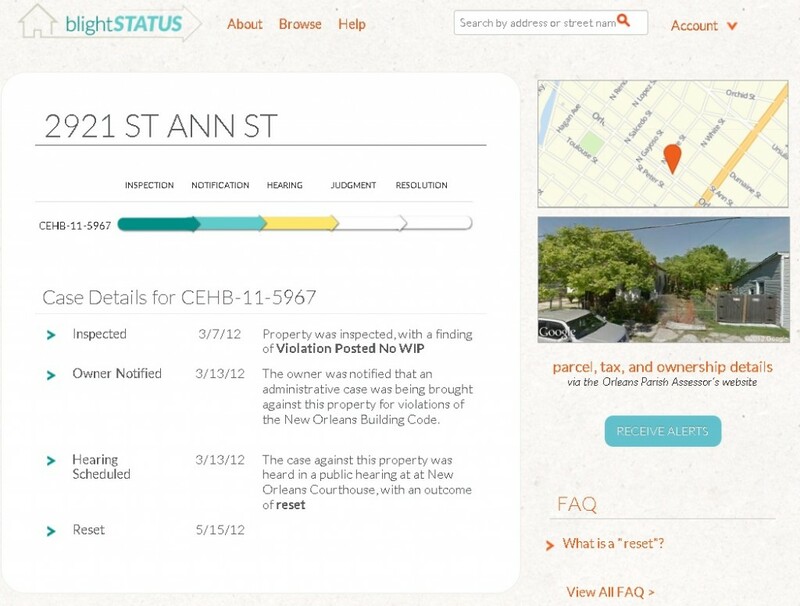 BlightStatus is a new interactive online tool for residents to track the progress of blighted properties within the Code Enforcement system in New Orleans. Reducing blight citywide is a top priority of my administration. Blight threatens our safety, the value of our homes, our quality of life and our environment. Nearly two years ago, we announced a new, aggressive blight strategy aimed at reducing the blight count in New Orleans by 10,000 properties by 2014. 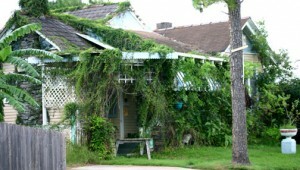 A recent study released by The Greater New Orleans Community Data Center showed that blighted properties have been reduced by approximately 8,000 addresses since 2010. The study attributed the reduction in part to the focused efforts of City agencies to bring properties into compliance by prioritizing aggressive code enforcement and code lien foreclosure sales. Recently, the City’s blight strategy was named a 2012 Bright Idea in Government by Harvard University’s Ash Center for Democratic Governance and Innovation, and was awarded the U.S. Department of Housing and Urban Development Secretary’s Award at the 2012 Council on Philanthropy Conference for its public-philanthropic partnership with the Greater New Orleans Foundation (GNOF), the New Orleans Redevelopment Authority (NORA) and the Center for Community Progress (CCP). 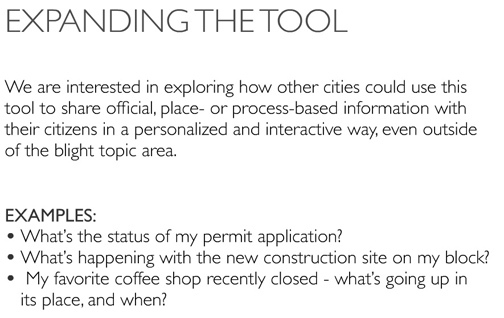 This is a major step forward in reducing barriers to public participation in blight hearings, and improving the quality of the interactions between the City and the community in the common goal of eliminating blight. 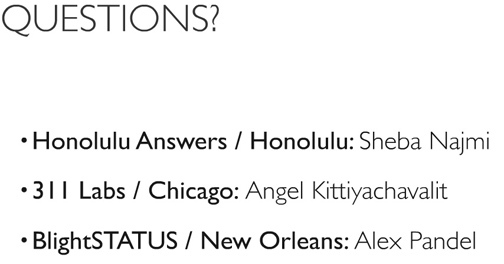 In case you missed it, the award-winning documentary “The Interrupters” aired last night on PBS. The film centers on the successful “Ceasefire” program in Chicago where the goal was to interrupt the cycle of retaliatory violence. The City of New Orleans is implementing the “Ceasefire” program now. 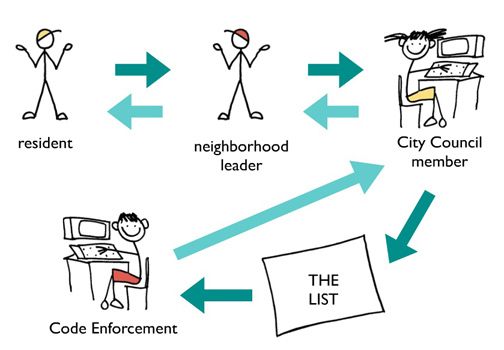 As the project moves forward, it will employ “interrupters” who are either ex-offenders or individuals on the ground, to reach members of the community who are most likely to shoot or be shot. These individuals will intervene when there is the potential for violence to arise, mediate high-risk conflict situations and prevent retaliatory violence. 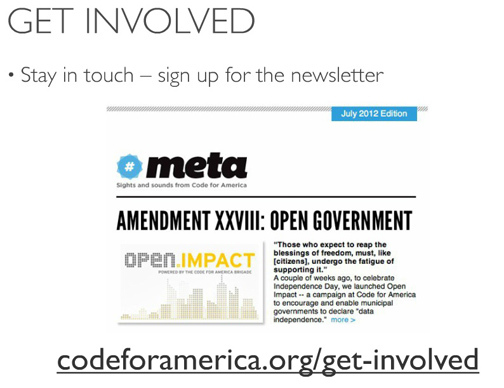 In September of 2011, Mayor Mitch Landrieu held a Crime Action Summit where he dedicated $250,000 to the “Ceasefire” program in New Orleans. Click here to watch “The Interrupters” documentary.